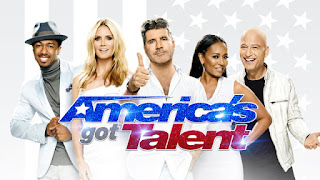 "America's Got Talent" is celebrating the holidays with the "America's Got Talent Holiday Spectacular" hosted by Nick Cannon on December 19 on NBC. Scheduled to perform of the special are "Talent" alums from past and present seasons, including Grace VanderWaal, The Clairvoyants, Mat Franco, Piff the Magic Dragon, Olate Dogs, The Regurgitator, Professor Splash and more to name a few. There will be celebrity guest appearances as well, including Penn & Teller, Pentatonix and more. The judging panel, featuring Mel B, Simon Cowell, Heidi Klum and Howie Mandel, will also participate in this one-night-only event. The two-hour special will air at 8 p.m. ET/PT on Dec. 19 on NBC. Music, magic and variety acts celebrate the holidays in a stunning special for fans and families to enjoy. Season 11 winner Grace VanderWaal will return to the "America's Got Talent" stage with a holiday rendition on the ukulele. Judge Heidi Klum will join Golden Buzzer contestant, Sal Valentinetti on stage for his performance. Professor Splash dives into egg nog and The Regurgitator is using none other than holiday ornaments for his unique performance. AcroArmy is a team of elite performers, ages 12-27, made up of some of the best acrobatic gymnasts in the country. Directed by two-time world champion and former "America's Got Talent" alumni Arthur Davis III and Renato Teroy, respectively, AcroArmy is based out of Realis Gymnastics Academy Redlands under the coaching of Youri Vorobiev. Caly Bevier is a singer from a small town in northwest Ohio. She has been singing since the age of 3 and has always had that desire to be in front of a crowd and to entertain. Bevier is a survivor. In 2015 she was diagnosed, at the young age of 15, with stage 3 ovarian cancer and is currently in remission and now on a journey to take her music career to the next level. Bevier has been using her voice to inspire and encourage others by traveling and spreading awareness for cancer, specifically childhood cancer. Bevier was Simon Cowell's Golden Buzzer on season 11. Thommy Ten and Amélie van Tass are The Clairvoyants. When they first met they instantly discovered that they had a very special connection and belonged together. What started as a heightened sense of intuition quickly grew into something far more intriguing. As the years passed their incredible connection blossomed into a skill that they wanted to share with others. The Clairvoyants were runners up on season 11 of "America's Got Talent" and will appear on Broadway this fall with "The Illusionists: Turn of the Century." Brian Justin Crum is a singer from San Diego. He competed on season 11 of "America's Got Talent" and came in fourth place. Since completing the show he has been recording his EP with notable writers Jesse McCartney and Shane Stevens. He has also been headlining major events all over the US. Follow his journey on Instagram and Twitter @BrianJustinCrum and be on the lookout for his EP coming soon! The singer and songwriter's full-length debut, "Cheers to the Fall," garnered a 2016 Grammy Award nod for Best R&B Album, while her single "Rise Up" notched a nomination for Best R&B Performance. Resonating throughout pop culture, Day was invited to join forces with J. Cole on "Mississippi Goddamn" on the soundtrack for the Oscar-nominated documentary "What Happened, Miss Simone?" and provide the end title track for "Meru." "Rise Up" fueled a high-profile "Beats By Dre" campaign, while she and her first champion, Stevie Wonder, performed "Someday at Christmas" for an Apple commercial. At the 47th NAACP Image Awards, she received a nod for Outstanding New Artist. Jon Dorenbos is an NFL player on the Philadelphia Eagles who was thrust into the national spotlight when he became the country's most beloved magician during his magical summer long run to the finals on season 11 of "America's Got Talent." Dorenbos got in to magic just before his 13th birthday and instantly fell in love with it. Magic became an escape during a time of mourning and transition in his life as he was obsessed with the sleights and skills involved. He spent all day, every day, practicing and rehearsing in front of the mirror. Dorenbos' aunt, Susan, had a friend, Ken Sands, who was a magician and she made the introduction. Sands became a mentor, friend and father figure for Dorenbos for years to come. Sands didn't just teach Dorenbos the fundamentals of a trick, he taught him how to find himself as a performer. Edgar is a modern day family band. They have all been individually performing their whole lives until the came together to form this dynamic trio. Edgar is made up of Nikki Leonti - Edgar (Mom), Jaslyn Edgar (Daughter) & Ryan Edgar (Dad). These three found a love for performing together after Ryan officially adopted Jaslyn as his own daughter. They have a mutual love for soul, rock, folk, country-soul and the Beatles. Ryan & Nikki are songwriters currently residing in Los Angeles and on Sunday's they host a Jazz Show at the W hotel in Hollywood. Edgar competed on season 11 of "America's Got Talent." Jackie Evancho dazzled American television audiences at 10 years old gaining global recognition with her stunning debut on "America's Got Talent." Since then, the now 16-year-old vocal sensation has released a string of platinum and gold albums. This year saw the release of new crossover music by Evancho with the release of three covers, "Writings on the Wall," "Safe and Sound," "Coming Home" and one new original song written especially for her, "Apocalypse." This Christmas, Evancho will release her Christmas CD, "Someday at Christmas." She is also releasing a new studio album in 2017. After 25 years of honing his skills at county fairs and venues across the country, Fator's big "America's Got Talent" win at age 42 catapulted him into the upper echelon of entertainers and led to a multi-million dollar deal with The Mirage Hotel & Casino in Las Vegas where his award-winning show, "Terry Fator: The Voice of Entertainment," has been running since 2009. With a cast of characters including Winston, the Impersonating Turtle; Emma Taylor, the little girl with the big voice; Maynard Thompkins, the Elvis Impersonator; Duggie Scott Walker, the annoying neighbor; and many others, Fator has been raking in awards, accolades and industry admiration ever since. In 2014, Fator released the DVD "Terry Fator: Live in Concert," a country music CD "It Starts Tonight," as well as a series of children's books, including "Lamu, The Christmas Kitten." As the first and only magician ever to win NBC's "America's Got Talent," Mat Franco takes an innovative approach to magic making that's driven by pure joy. Almost entirely self-taught, the 28-year-old Rhode Island native began developing his own shows before the age of 10 and took the stage at the Riviera Hotel & Casino in Las Vegas by the time he was 15. With an improvisation-fueled and humor-laced performance style partly honed through his years as a hugely in-demand college act, Franco is now headlining his show "Magic Reinvented Nightly" at the LINQ Hotel & Casino in Las Vegas that offers both boundless fun and a stunning sense of thrill and wonder. Growing up in Columbia, Va., there wasn't a lot do, so after graduating high school Ronee Martin quickly moved to Washington, D.C., to live with her mother. There, she met some local musicians and was introduced to a real studio and there was no turning back after that. A few snags here and there in the music industry caused her to take a few steps back from the music world to find a job. Martin ended up moving to the beautiful palm-tree-lined streets of Los Angeles where she performed and did quite a few demo sessions for writers that have now become quite successful. Martin competed on season 11 of "America's Got Talent." The Olate Dogs are "America's Got Talent" season seven winners. Led by father Richard Olate and his son Nicholas, the Olate Dogs are a high-energy, fast-paced theatrical act filled with doggie friendly and amazing pet tricks. These sweet, funny and talented dogs and their entertaining owners/handlers have been capturing hearts across the world ever since Olate developed his act on the streets of his native Chile. They are currently on their national live tour entertaining families and children of all ages. For nearly 40 years Penn & Teller have defied labels - and, at times, physics and good taste - by redefining the genre of magic and inventing their own very distinct niche in comedy. With an amazing eight wins, including 2015, as Las Vegas Magicians of the Year, their 16-year run at The Rio All-Suite Hotel & Casino makes them one of the longest running and most-beloved shows in Las Vegas history, outselling every other resident magician on the Strip. Along the way, they've written three New York Times bestsellers, hosted their own Emmy Award-nominated variety show for FX, starred in their own Emmy-winning specials for ABC, NBC and Comedy Central and produced the critically lauded feature film documentary "The Aristocrats." In just five years, Pentatonix, currently on the final leg of their world tour, has sold more than 3.5 million albums in the U.S. alone. They have won two Grammy Awards and performed for hundreds of thousands of fans at their sold-out shows across the globe. Their YouTube channel boasts more than 11 million subscribers, yielding nearly 2 billion video views, and their 2015 self-titled album has been certified gold after debuting #1 on Billboard's Top 200. All seven Pentatonix album releases have debuted in the chart's top 10. In 2015 the group released its first tour documentary, "On My Way Home," and appeared in the feature film "Pitch Perfect 2." Pentatonix recently released their third holiday album, "A Pentatonix Christmas," which debuted at #3 on the Billboard Top 200 Chart. The album includes the group's arrangement of the Leonard Cohen classic, "Hallelujah," which debuted at #6 on Billboard's Top Digital Songs Chart. The music video received more than 20 million views in its first week. The group will be hosting their first holiday network special, "A Pentatonix Christmas Special," on NBC on December 14th. 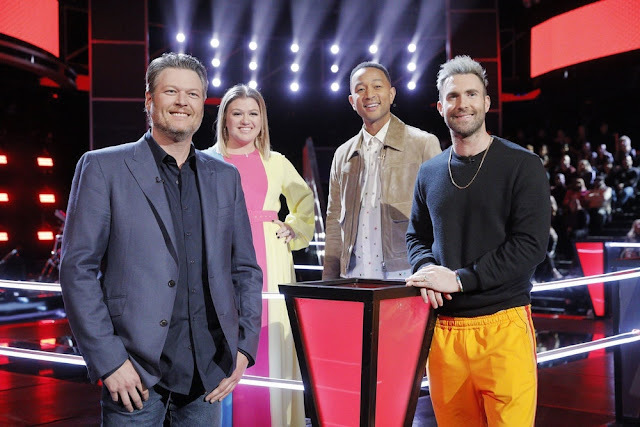 The standout finalist of "America's Got Talent" season 10, imagine Larry David in a dragon suit performing jaw-dropping magic tricks and you're on the right track. With more than 40 million YouTube hits to his name, Piff has performed for hundreds of thousands of people all over the world in venues such as Radio City Music Hall, the O2 in London and Sydney Opera House. His sidekick Mr. Piffles, the world's first magic-performing Chihuahua, has been levitated, laminated, shackled in a straitjacket and shot out of a cannon all in the name of entertainment. They currently live in Las Vegas, headlining at the iconic Flamingo hotel three nights a week where they recently celebrated their one-year anniversary, and touring North America on the weekends. They don't do children's parties. Professor Splash was first seen in season six of "America's Got Talent" and won over America with his risky diving act. At the age of 55 he currently has thirty five Guinness World records and has been diving competitively since he was 6 years old. The Regurgitator appeared on season 10 of "America's Got Talent" and finished in fourth place. Heidi Klum has claimed that he is her favorite "AGT" contestant. He captured America's attention by swallowing different objects and regurgitating them. The Silhouettes are season six's runner-up on "America's Got Talent." They were created and are directed by Lynne Waggoner-Patton. They train, film and perform at Shadowlight Theatre in Arvada, Colo., and their mission is to help homeless children and families in need. The Silhouettes have helped children in Tokyo learn shadow dance to perform live for 30 million viewers and raised money for people injured in Japan's 2011 triple disaster. The Sons of Serendip (SoS) are a musical ensemble of four friends who, through a series of serendipitous events, came together in graduate school at Boston University and auditioned for "America's Got Talent." The members are Micah Christian, a teacher from Randolph, Mass., and the lead singer for the group; pianist/vocalist Cordaro Rodriguez, an attorney from Charlotte, N.C.; Kendall Ramseur, a cellist and cello instructor from Charlotte, N.C.; and harpist Mason Morton, a teacher from Atlanta. In 2015, SoS recorded their second hit album, "Christmas, Beyond the Lights," which won praise from critics including the Los Angeles Times, who called it "fresh" and "imaginative," further cementing the group as a timeless musical powerhouse. Sal Valentinetti impressed the judges on season 11 of "America's Got Talent" and received Heidi's Golden Buzzer. Valentinetti is the definition of an old soul with an olive oil voice and Italian charm. "Sal the Voice," as he is affectionately known by everyone from Brooklyn to Bayshore, can be found on most Sunday's sipping cappuccino at the cafe telling stories, making jokes and planning his next move - to bring back the consummate, classy, old school entertainer with a heart of gold back to American pop culture. Season 11 winner Grace VanderWaal is a 12-year-old singer-songwriter who lives in New York. She began writing songs when she was 3 and loved performing her originals for her family. For VanderWaal's 11th birthday she bought herself a ukulele with her birthday money and performed her first concert for her family two weeks later. She continued to play the ukulele and write songs and eventually auditioned for "America's Got Talent," where she sang all original songs throughout the season. VanderWaal was quickly signed to Columbia Records and Syco Music after her big win.